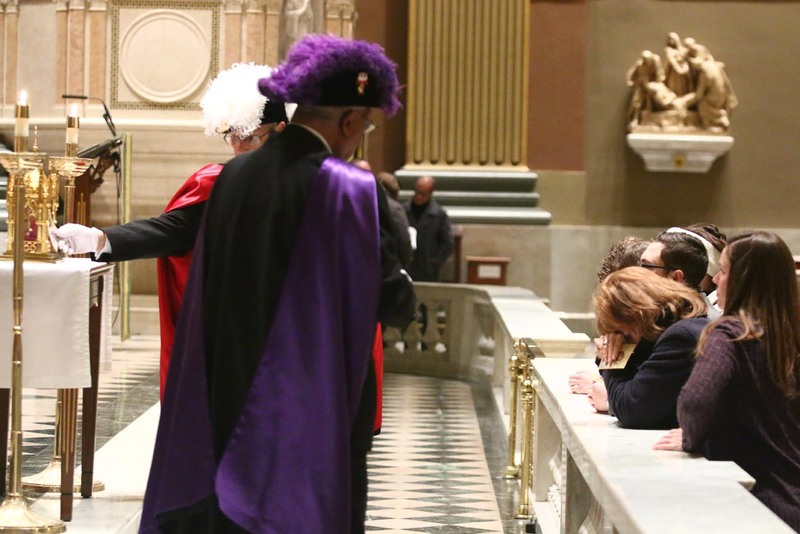 People pray at the Cathedral Basilica of SS. Peter and Paul as Knights of Columbus touch prayer cards of St. John Vianney to the relic of his heart. 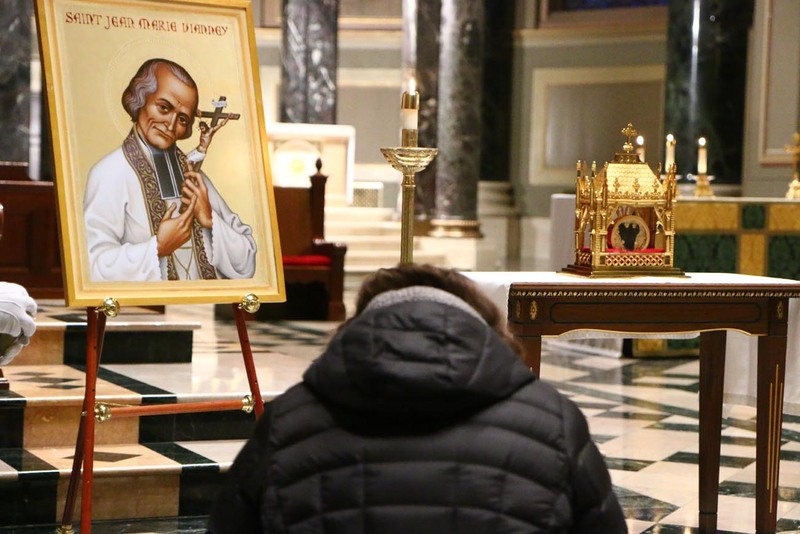 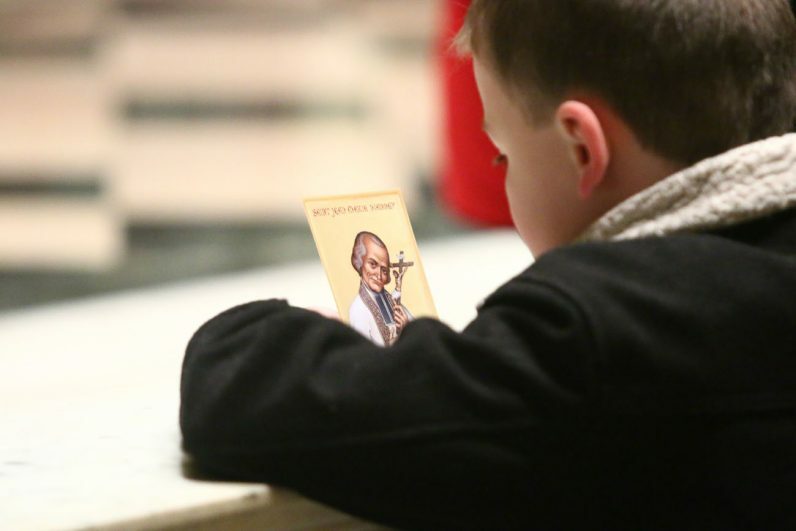 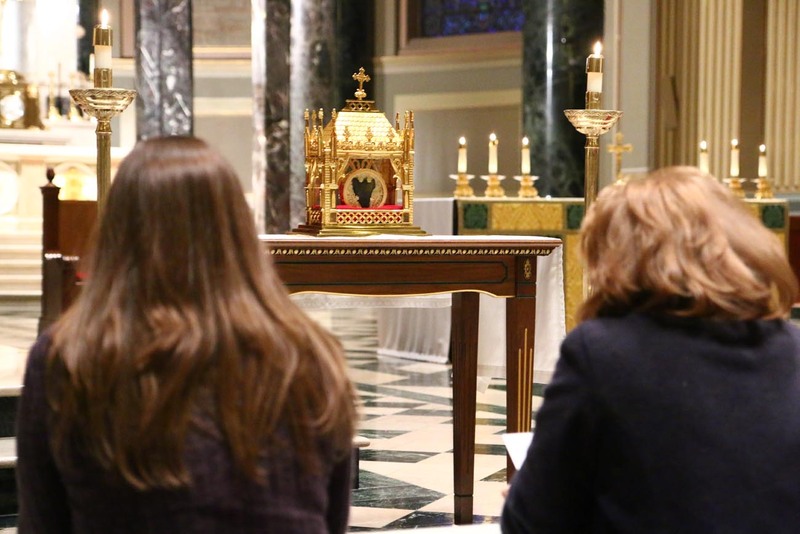 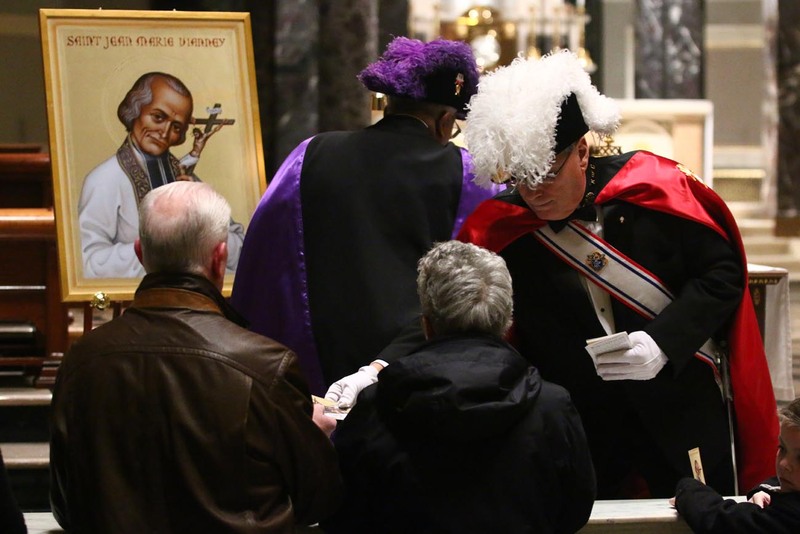 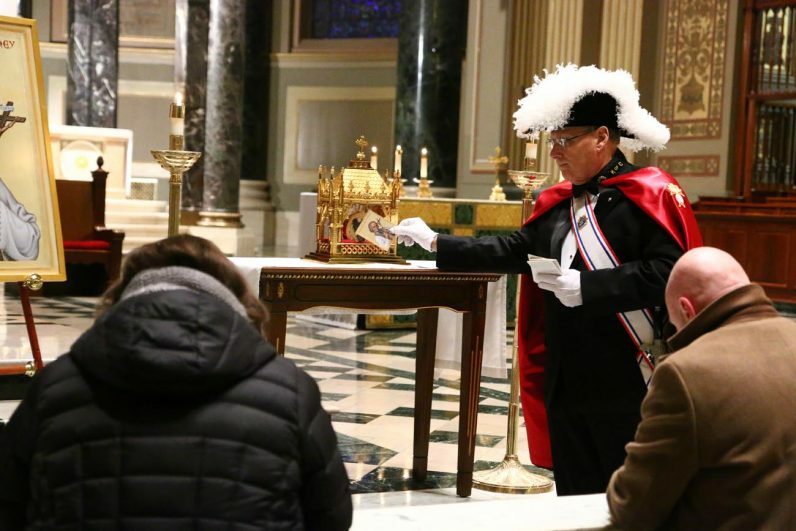 The Knights of Columbus distributed prayer cards of St. John Vianney to those who came to the cathedral for public veneration, and after touching the cards to the relic, gave them back to the people. 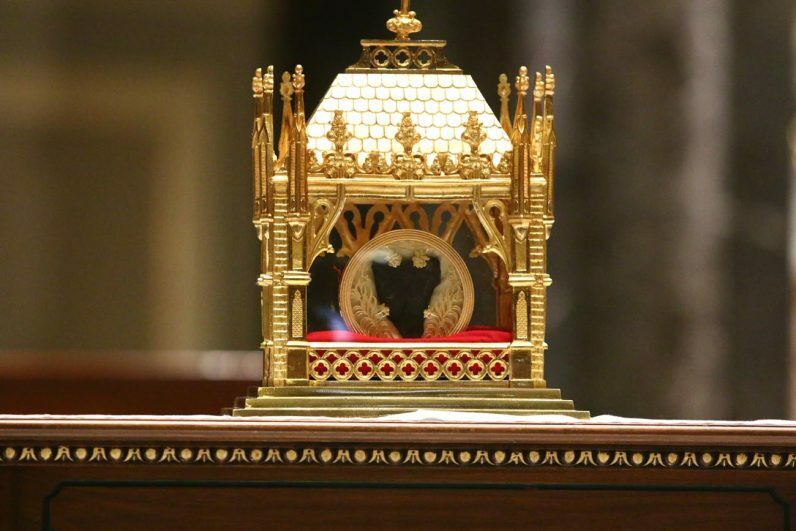 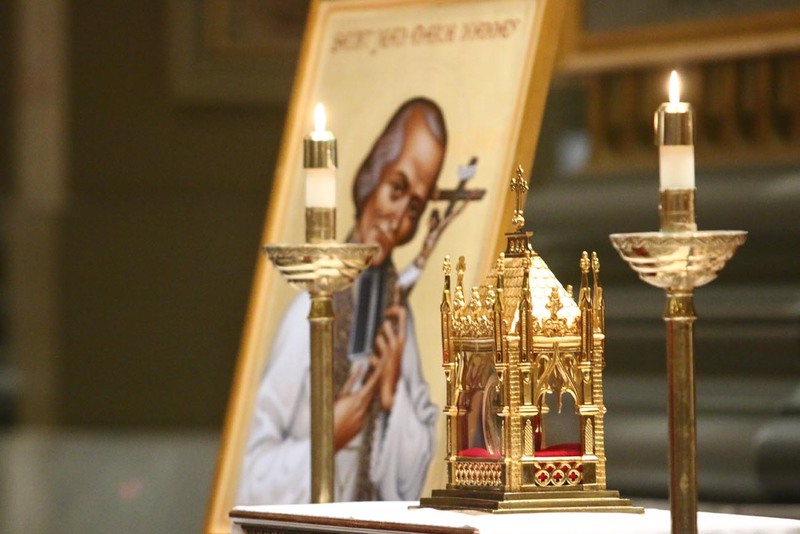 A gold reliquary displays the relic of St. John Vianney.